Jimmy Barnes has been there and back. He's tasted glory as the most successful Australian rock and roll singer. He's also struggled with the pressures of being a tall poppy and he's wrestled his own demons. It's been a wild ride. Now it's getting interesting. At age 16, Jimmy played his second gig as lead singer on the back of a truck one hot Saturday at Gawler Raceway in Adelaide, South Australia. The band would later become Cold Chisel. By 1978 Cold Chisel were tearing up the pubs of Sydney and Melbourne. They signed a record deal although the label had no expectations for their success. The first single, 'Khe Sahn' was banned from commercial radio. But Cold Chisel had something more valuable than record company paychecks or radio jocks: genuine fans. Within three short years of their first album's release, Cold Chisel was the most successful band in Australia. The 1980 album “East” surpassed all expectations, instantly selling 250,000 copies. Every ticket on their now-legendary tours was sold out. Cold Chisel's records were instant classics - 'Khe Sahn', 'Flame Trees', 'Saturday Night', 'Rising Sun', 'Cheap Wine', 'Breakfast at Sweethearts', 'You Got Nothing I Want' - most have become national anthems. In 1984 Cold Chisel came to an end with the largest concert tour ever undertaken by an Australian band, a record that still stands. 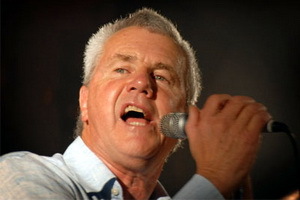 Within a month, however, Jimmy Barnes was on the road again with a new band, and within a year he had released his first solo album, Bodyswerve, which, like the subsequent For the Working Class Man and Freight Train Heart, entered the charts at number one. 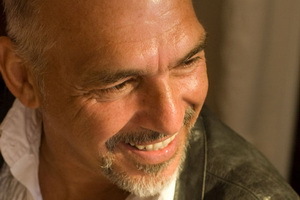 His duet with INXS, a cover of the Easybeats' 'Good Times' was a Top 40 hit in the US and a Top 10 hit in the UK. On 1990's Two Fires, yet another number one release, Jimmy Barnes' songwriting had matured and he had learned how to control the power in his voice. 1993's Heat was his toughest yet, and was followed by the Flesh and Wood project that featured duets and collaborations with a number of artists. For two decades, Jimmy Barnes has been going full bore - writing, recording, touring - without a break. In the meantime he and wife Jane had also raised a family of three daughters and one son. In addition, Jimmy was involved with a number of major charities, mostly related to youth issues. After three years and one album in Europe, Jimmy came back ready to rebuild his career. He continued to tour and to record and wrote with a number of different people. He also took part in the reformation of Cold Chisel. He then recorded Love and Fear, in which he confronted issues that he had avoided by being on tour and by drinking and taking drugs. In 2004, Jimmy Barnes was itching to put some new songs out and so the idea of Double Happiness began. The last thirty years have led to this point. 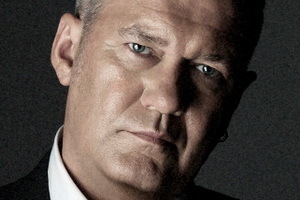 The last ten in particular have seen Jimmy Barnes develop the many and varied facets of his music. This is a complete portrait of a multi-faceted artist. It is an ambitious project that spans almost twenty years of recording, a range of different singers, and a variety of styles. Just when you think you know where you are, something new pops up. In October 2005, Jimmy Barnes was inducted into the ARIA Hall of Fame in his own right (Cold Chisel had already been inducted in 1993). 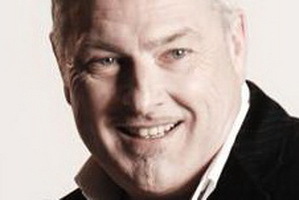 In 2006, Jonathon Welch, a former principal tenor with Opera Australia, devised the Choir of Hard Knocks. The choir allows homeless and disabled people to express themselves through music. Jimmy became a patron of the Choir and conducted classes with them. He took the Choir to Ballarat where they sang “Flame Trees” on stage. The ABC screened a documentary on the series in May ’07 and it was a massive hit. So much so that the Choir did sell-out shows at the Melbourne Town Hall and the Sydney Opera House, joined by Jimmy. Around this same time music TV channel MAX recruited Jimmy to co-present their weekly show ‘The Know’. MAX also recorded a one-off intimate concert at the Sydney Opera House in which Jimmy’s band was assisted by an orchestra and a choir. The songs, many of them unexpected choices, were drawn from all stages of Jimmy’s career. Early in 2007, Jimmy underwent open-heart surgery to repair a congenital heart defect. The recovery from the surgery necessitated several months of bed rest. Those songs formed the basis of Jimmy Barnes’ 14th solo album and his first complete new project since 1999’s ‘Love And Fear’. The recording of the album was done in eight days with Nash Chambers (Kasey Chambers, Troy Cassar-Daley, Paul Kelly) producing. A small band (Midnight Oil’s guitarist Jim Moginie, session veteran Mark Punch, bassist Chris Haigh and son Jackie Barnes on drums and piano) formed to create a tough but intimate sound and helped give Jimmy his 10th platinum album in what continues to be a hugely successful and enduring career. Jimmy Barnes is as down to earth a man as you could hope to meet - our VIPs were very impressed with his good natured humour and friendliness. "I came into this process quite late and your company was excellent in keeping us informed, anticipating issues and reminding us when we'd overlooked things... and always answerable to our questions. It was exceedingly smooth. It was a pleasure to deal with you."